​We do offer Silver Sneakers, Ashlink Silver & Fit, AARP Silver Sneakers and other membership types. Please contact the Front Desk if you have any questions about these! ​Download our Membership Application below! Bring this in to the Front Desk and get signed up today! We offer a variety of fitness classes and programs for each membership. Explore our website to find the perfect program for you and your family! These prices include our regularly scheduled fitness classes; additional fees may be necessary for other programs such as swim lessons for which members receive discounts. 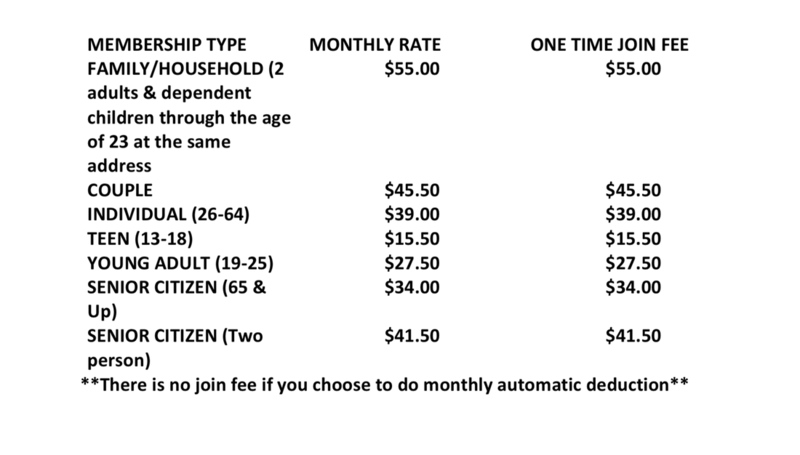 **Financial aid may be available based on income, if interested in our PACE financial assistance program, contact us at 859-623-9356 and speak to the Membership/Financial Assistance Coordinator. ​We will be happy to help you!